Police in Leicester, England, investigate a terrorist fundraising ring based in that city and eventually wrap it up eleven days after 9/11. 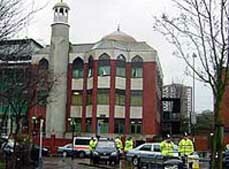 The men are connected to groups of Islamists in France (see March 15, 2005) and Spain (see September 26, 2001), as well as Finsbury Park mosque in London and leading radical Djamel Beghal, who has attended the mosque and whose arrest in the summer of 2001 (see July 24 or 28, 2001) apparently spurs the arrests in Britain. The Cell - The two cell leaders live frugal lives in Leicester, claiming social security benefits under their real names, but work under false French documents. When police search a car belonging to one of the men, they find skimming machines used to steal details from credit cards, as well as boxes of unembossed cards from Visa and Mastercard. The cards are used to purchase goods in southern Spain, and the group is estimated to raise at least £800,000 (about US$1,200,000). The group is also involved in arranging forged visas for those traveling to training camps in Afghanistan. Eighteen arrests are made in total, and the two ringleaders are sentenced to eleven years each. 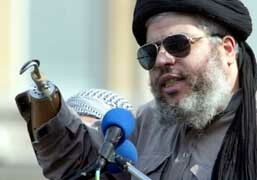 The US indicts leading radical imam Abu Hamza al-Masri, shortly after his arrest in Britian (see May 27, 2004). Abu Hamza is indicted on eleven counts, covering his part in a kidnapping scheme in Yemen (see December 28-29, 1998), the recruitment of a radical named Feroz Abbasi to attend a training camp in Afghanistan (see December 2000-December 2001), and a conspiracy to open a jihad training camp in Oregon (see November 1999-Early 2000). 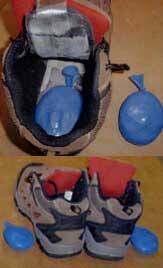 Alleged Contact with High-Ranking al-Qaeda Terrorists - At the extradition hearing, the lawyer acting for the US describes Abu Hamza as having “engaged in a systematic pattern of terrorist activity since at least 1998….” The lawyer also points out: “He is no less than a supporter and facilitator of terrorism. He has been in contact with and provided support for terrorist groups and people associated with terrorist groups… He has had contact with high-ranking terrorists in the Taliban and al-Qaeda.” Abu Hamza declines to go to the US voluntarily and decides to fight the extradition request.